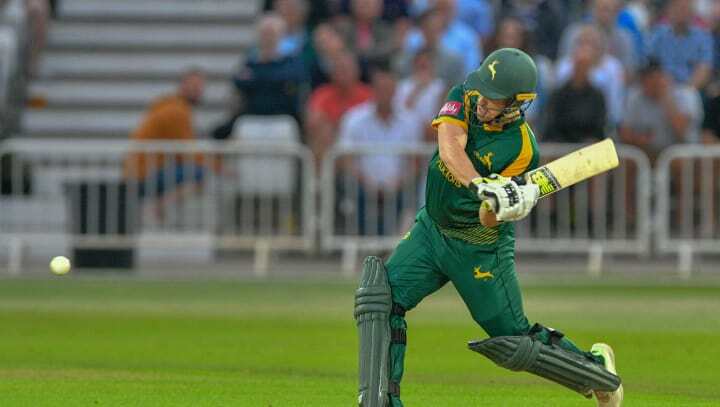 Moores initially signed a two-year deal in October of last year but having taken 52 catches and scoring 1,324 runs in 2018 he has now agreed new terms which keep him at the Club until the end of the 2021 summer. The 21-year-old’s performances earned him both the Uncapped and Player of the Season awards at the End of Season Dinner and Moores is hoping to push on further in 2019. “I’m delighted to commit to the Club after having a decent year,” said Moores. “I can’t thank the Club enough for the faith they have shown in me, first giving me the gloves at the start of this season and then giving me a further three years off the back of that. “As a team we have got some really exciting players and we want to be pushing for silverware in the next couple of seasons. Moores’ 2018 included many milestones, from his maiden First Class hundred against Somerset in June, to his highest T20 score against Yorkshire at Trent Bridge in August. Playing across all three formats at the age of just 21, Director of Cricket Mick Newell had high praise for Moores on his performances across the summer and expects more of the same moving forward. “Tom has had a fantastic season with both the gloves and the bat and we’re expecting big things for him in the future,” said Newell. “We’re extremely pleased with how he took to the task but he knows there is plenty of hard work ahead of him to hit the ground running next year.